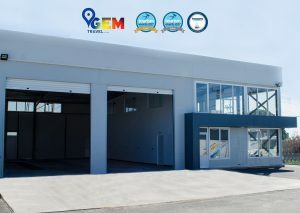 Gem Travel is the biggest transfers provider in Rhodes and Kos. Our field offices at Rhodes and Kos Airports and in the Tourist Ports of both islands, are operating 24h per day, all season, for all kind of transfers and excursions. 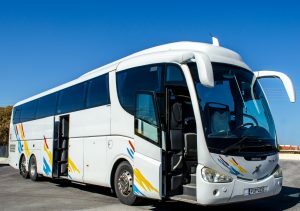 Our fleet consists of more than 50 owned and leased coaches and mini buses, from 12 up to 61 seats. All the vehicles are fully air conditioned, outfitted with the latest audio and visual equipment and are running under the highest health, safety and insurance standards. We proudly offer the biggest fleet within the destination and we believe that our clients can definitely expect more than just an airport – hotel transfer service. We do whatever it takes to create your ideal package, making your experience one to remember. GEM Travel provides complete, organized and high-quality transfers to our clients, tour operators, individual customers and groups. 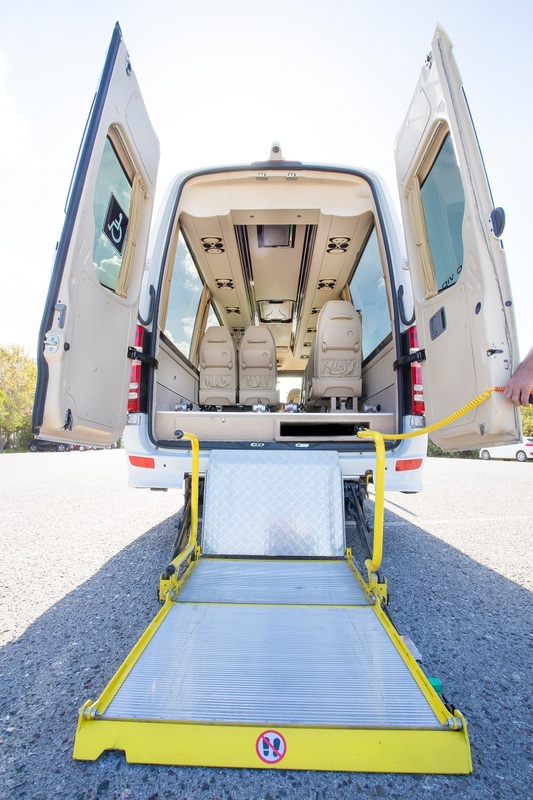 Our specially adapted Mercedes Minibus is equipped with a side door entrance as well as rear ramp access. With its’ special wheelchair tracking system and tie down facilities, it allows easy access for all those guests who simply need a bit of help. Our highly reliable and experience drivers, are specially trained to use the boarding device to enable wheelchair users to get on and off the vehicle, according to the latest health and safety standards. Naturally, our adapted Minibus is equipped with a modern A/C system. Your chair is very heavy or very big? You travel with a group with limited mobility? No problem for Gem Travel! Gem Travel owns the only fully accessible mini bus on the island with a dedicated wheelchair space for more than 4 wheelchairs. Our vehicle offers enough space for your wheelchair and luggage and allows you to travel together with your friends and family. We can provide transfers from and to the International Airport of Rhodes “Diagoras” and Tourist Port of Rhodes and in addition we can cater transfers covering all regions and destinations around the Island. Our team includes highly experienced drivers and the airport staff can handle your arrival and departure in the most safe and professional way. Trust the extensive experience of GEM Travel and book your transfer with us! V.I.P. transfers can be provided from the airport and port (schedule- charter flight or private flight and yacht) to all the region of Rhodes Island, including private villas. 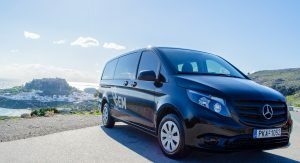 Services are provided using limos and executive mini buses (MERCEDES BENZ), which covers the highest standards of quality. The drivers of these cars have extensive experience in transporting V.I.P. individuals, politicians and businessmen who are visiting the island for business and tourism purposes. Now, you can book online transfer from the island’s airport and port, to the place you are staying and vice-versa! 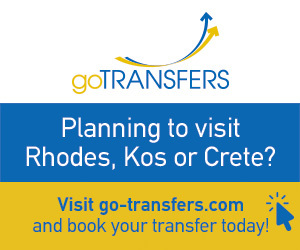 Visit go-transfers.com and book your transfer today!